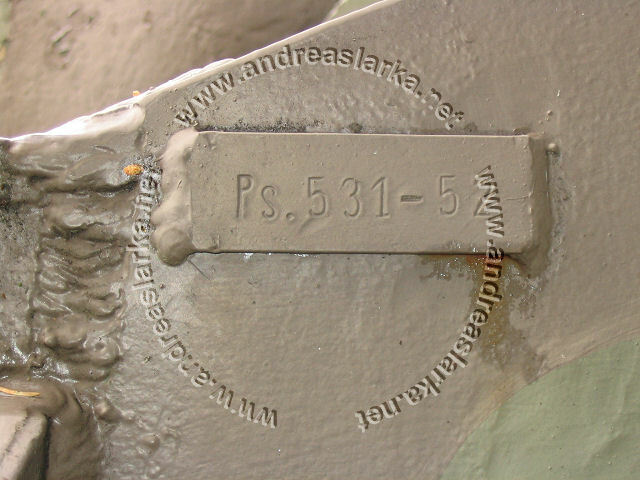 This vehicle was converted into a Stu 40 K in 1948 and given a new registration number, Ps.631-2 in the spring of 1956. 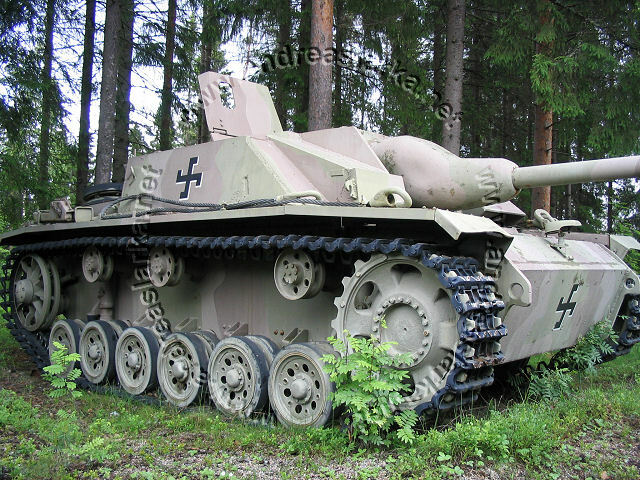 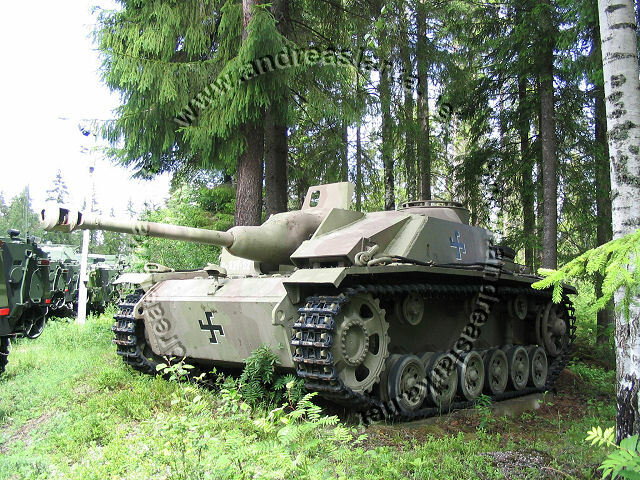 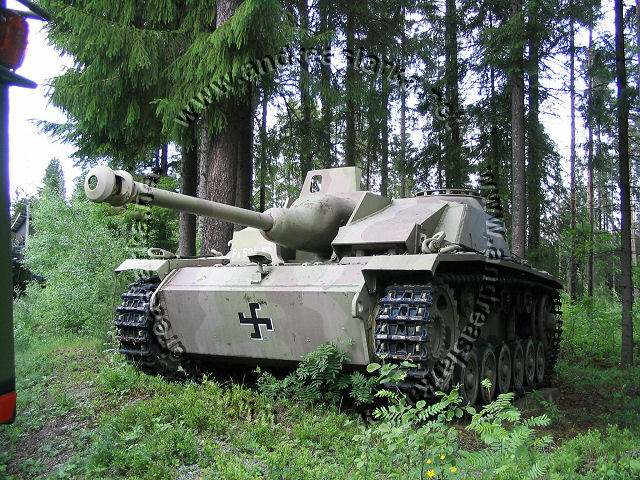 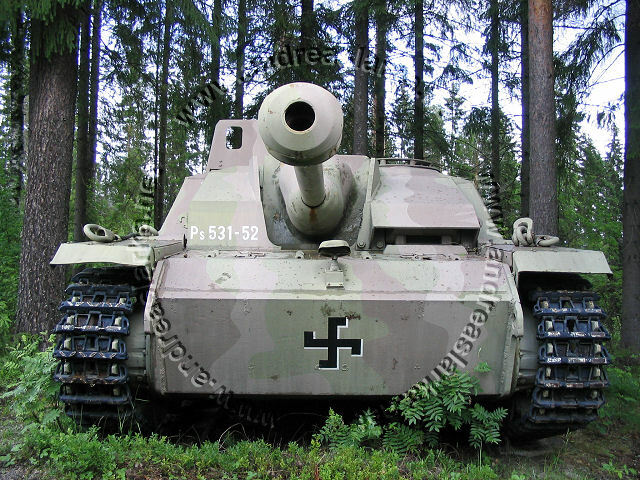 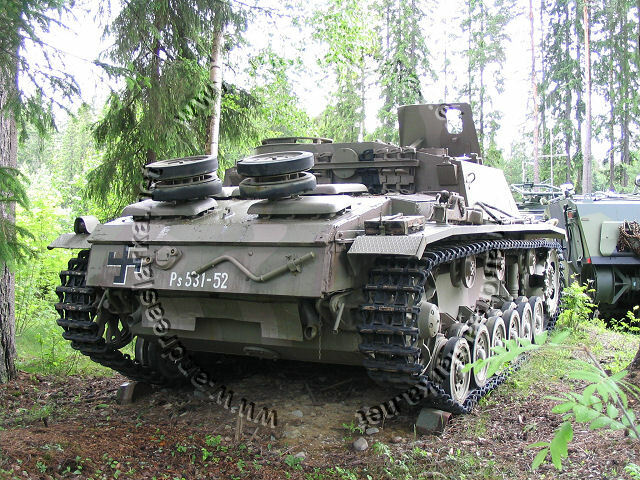 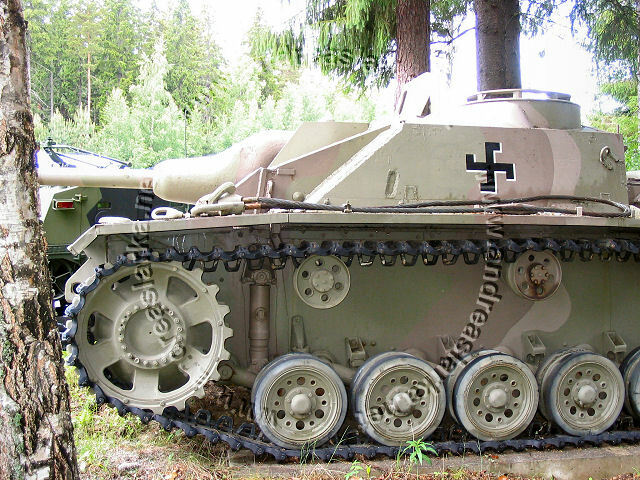 Re-converted into a normal StuG in 1958 when it again was given it's old registration number. 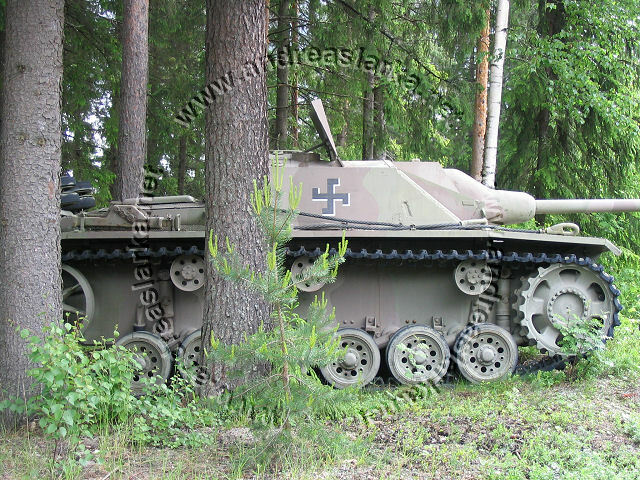 These pictures are taken at the Panssarivarikko in Ilveskallio, Hattula in the summer of 2004.